Integrative medicine pairs regular medicine with complementary remedies like acupuncture, massage, supplements, and even hypnosis. The idea is to treat the whole person: your mind, body, and spirit. An integrative treatment plan should provide safe, effective, coordinated care between your regular doctors and people who offer complementary therapies. You might have trouble if you decide to try complementary treatments on your own. Here’s the scoop on the potential risks, plus how to be smart about integrative medicine. Where Can I Find Integrative Medicine? In an ideal world, you would live near a hospital or cancer center that offers integrative medicine. That would make it easy for you to get integrative care in one place. Even if you don’t live near a major medical center, you still have options. Many health care systems are training staff and adding people who do acupuncture, art therapy, nutrition counseling and more. Plus, there are board-certified integrative medicine specialists around the country, some of whom are experts in cancer care. You can also choose from many traditional cancer doctors (called oncologists) who will help you find trusted complementary therapies for cancer. Before you look for a complementary therapy, set some goals. Do you want to control nausea? Fight fatigue? Eat to keep cancer from coming back? Then tell your doctor. She can help you figure out which type of treatment will be best. The next step is to find a provider. Ask for a referral. It’s tempting to take your friend’s suggestion, but it’s best to go through your doctor or regular care team. If they can’t give you a name, check with nearby hospitals, medical schools, or your insurance company. Do your homework. Check out the education, training, and credentials of anyone you think you might want to work with. Look for someone who knows the disease. A dietitian familiar with cancer will know which foods you should avoid during chemotherapy. Coordinate your care: Make sure your practitioner is willing to work with your regular health care team, and vice versa. All parties should be in the loop on your treatments and how well they work for you. Have you been tempted by supplements or diets that claim to cure cancer? It sounds great, especially if you know your doctor supports the use of some complementary therapies. But for the most part, these are bad news. At best, they’re a waste of money. At worst, they can harm you. 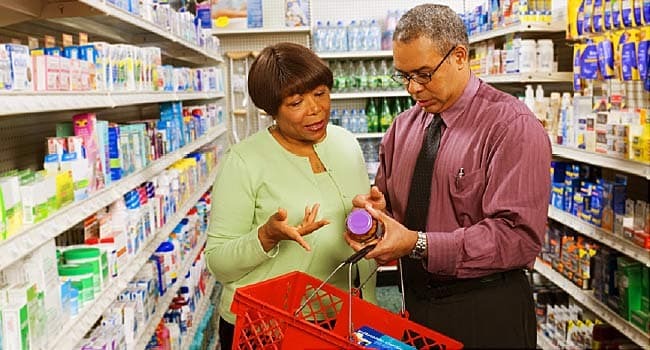 Your doctor should know about every over-the-counter supplement you take or want to take. This will help you skip any that might keep your cancer treatment from working like it should. It makes sense to research these treatments online before you make them a part of your cancer care plan. To make sure you’re getting good information, ask yourself these questions. Who funds the website? Look for government-run sites (.gov), educational websites (.edu), and nonprofit organizations (.org). They aren’t funded by supplement companies, drugmakers, or individual health care experts trying to promote their brand. Is the information current? Reliable health and medical content should be regularly reviewed. Look for dates on articles or a medical review date. Am I reading facts or opinion? Facts should be supported by research, like articles published in journals. Be wary of personal stories (you might see them called testimonials). These claims don’t count as evidence and may not reflect what the science shows. Stanford Health Care: "Types of Integrative Medicine."